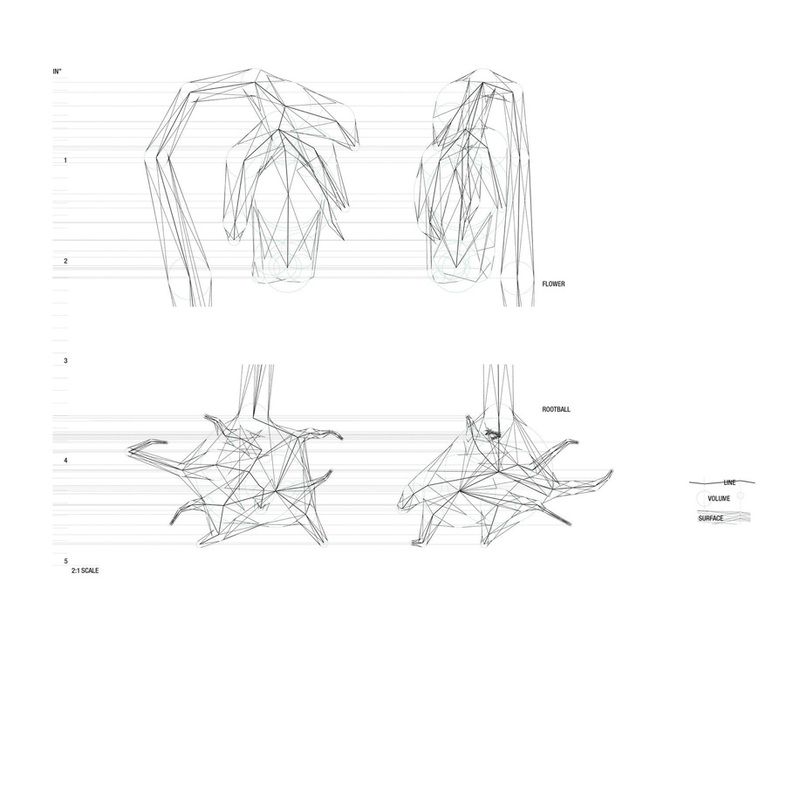 An experiment with conventions of architectural representation and the language of construction documentation through the process of drawing the plant, Monotropa Uniflora. This translucent, ephemeral species, commonly known as the “ghost plant” appears as a parasitic vegetal apparition in the North American woodlands. This project pushes the boundaries of architecture questioning both “what” we construct and “how” we construct. The reconstruction of Monotropa Uniflora studies the plant at an intimate scale, abstracting the organic form into simple geometries—points, lines,and circles. 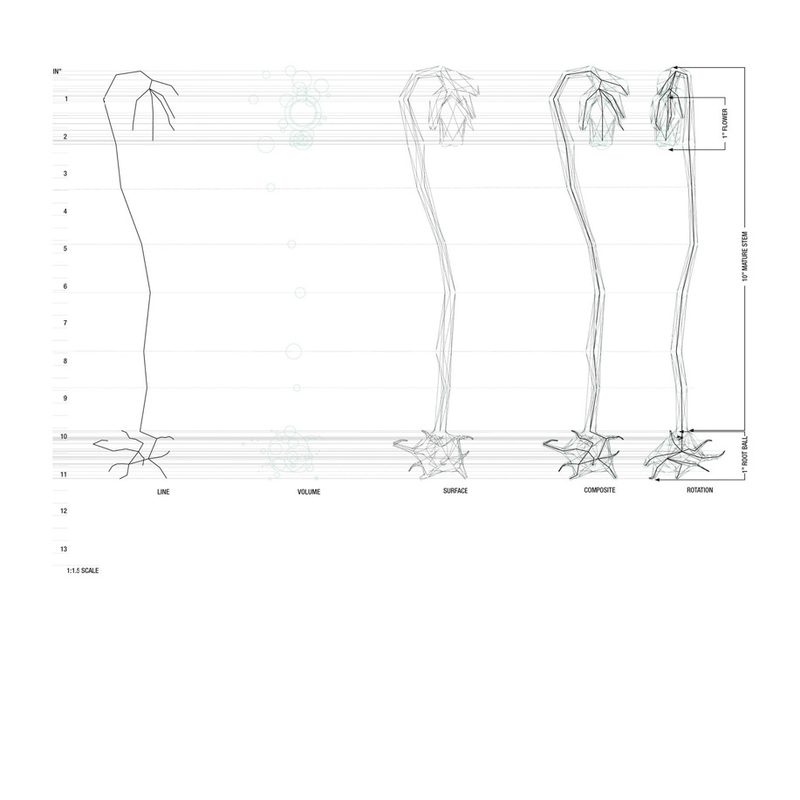 100 drawings are cut through the plant and re-presented in plan, section, and axonometic. The abstracted cuts were assembled as an animation illuminating the three dimensionality of the growing plant axonometrically drawn using layers of AutoCAD vectors. 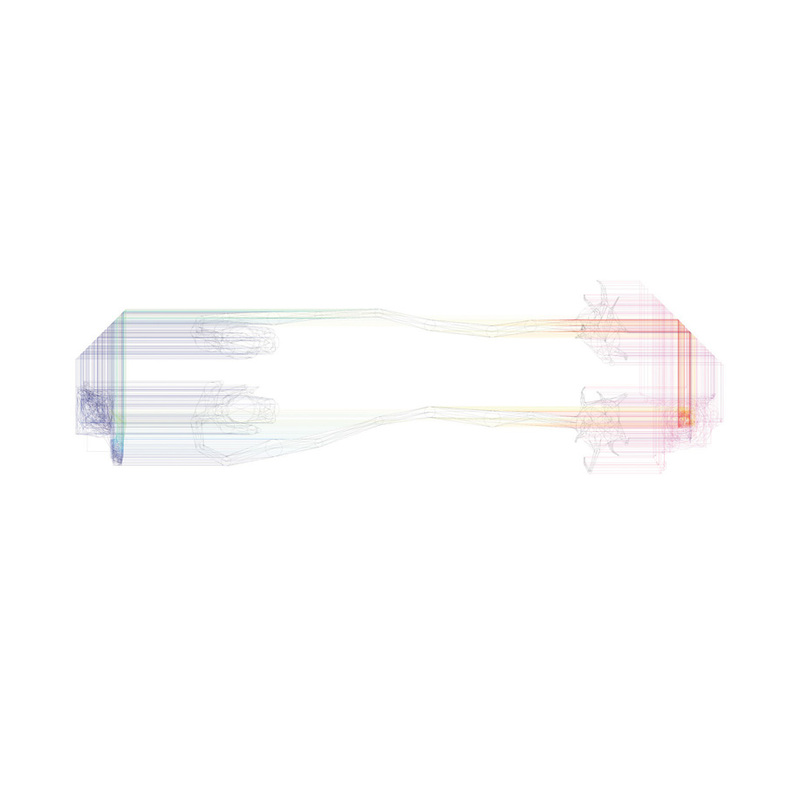 This digital skeleton of the plant gives a sense of its overall shape and translates as a method for construction. Using fine score lines laser cut into acrylic, a three dimensional floating image of the plant is produced.